After all a watch is a timepiece that is made to be worn on a person, as opposed to a clock which is not. 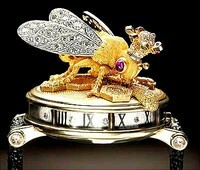 Wristwatches are often treated as jewelry or as collectible works of art rather than as timepieces. Check out the World’s 10 most expensive watches, price and their manufacturer.